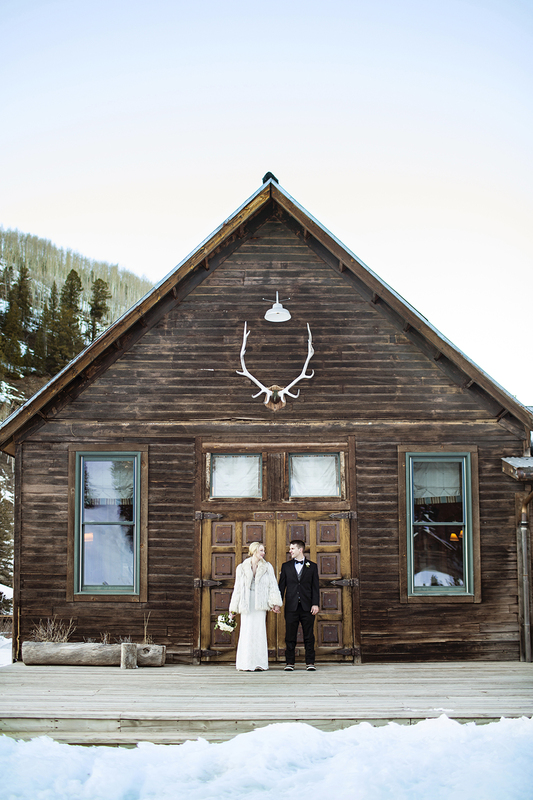 Nestled deep in the San Juan Mountains of the Colorado Rockies, Dunton Hot Springs Resort is a romantic venue, set in an extraordinary alpine valley. This perfectly restored ghost town thrives on contradictions; hand-hewn log cabins exquisitely furnished, a life-worn saloon serving food of startling quality, lung torturing trails followed by pampering massages, sensuous hot springs beneath shimmering snow banks. HWI: How, when, where did you first meet? Leah: Jared and I actually first met at work in Houston TX, but we didn’t really get to know each other until we both played on the company kickball team. We really bonded over our love of cheap beer, bar food, and terribly corny jokes. HWI: How did he propose? Leah: The proposal happened on my birthday while Jared and I were vacationing in upstate New York in Tarrytown. HWI: Okay … but more importantly … tell us about that RING! It’s gorgeous. Leah: My engagement ring is an emerald, which is also my birthstone. Jared had the ring made by a local jeweler (Deustch & Deustch) after realizing no one really sells solitaire emerald rings. An emerald just felt right, more “me”. Since I had an emerald engagement ring, I knew I wanted a diamond wedding band. We had it custom made by the same jeweler. I knew for daily wear after the wedding, I would mostly just wear the wedding band, so I wanted it to be simple, but also interesting. HWI: What was your vision for the wedding? 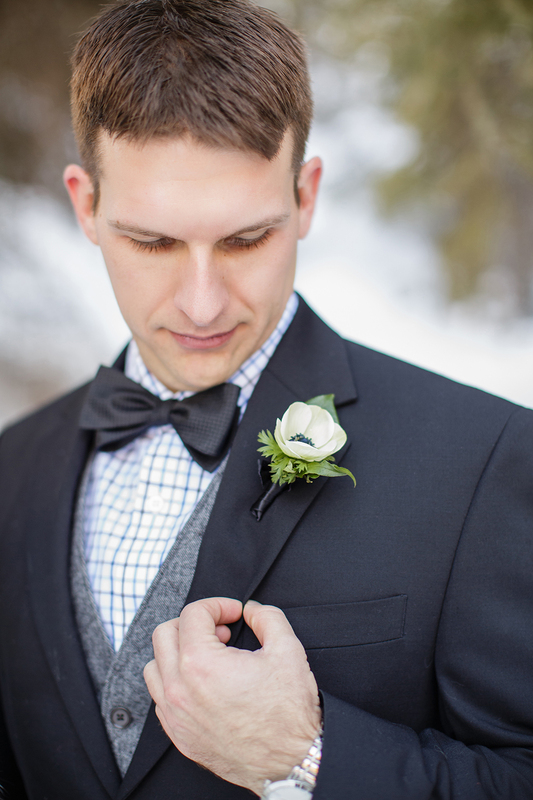 Leah: At first a January wedding in Colorado was a tough sell to both of our parents, but I love winter weddings. I love all of the snow and how beautiful it looks. I went with lots of white and then just natural décor. Nothing too fussy. 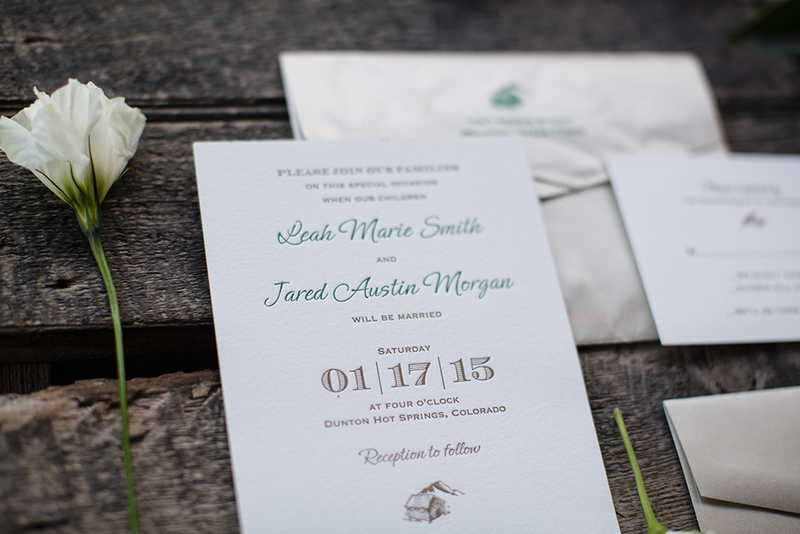 All the vendors Leah and Jared used for their beautiful "retreat to the mountains" style wedding. 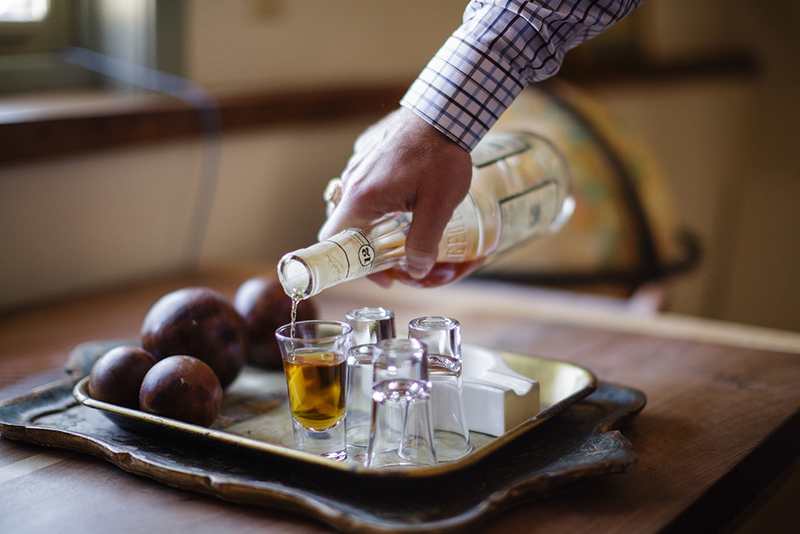 Brooke Pavel Photography, loves telling a story and evoking emotion through images. Belle of the Ball, will keep you stress free. thrones theme song, you know the entertainment is great. Venue // Dunton Hot Springs Resort, a natural beauty where everyone can getaway. and tumblers full of whiskey. In a cocktail shaker, muddle cranberries with ginger liqueur. Add the whiskey and lemon juice. Cover and give it a couple dry shakes (no ice). with a lemon peel or sprig of rosemary.